Another day of London gulling - this time in the fog and good to be out with Jamie and Dante again. From the grotty Silvertown area of east London to Burgess Park that fronts the notorious North Peckham estates, I had a great time with the larids! 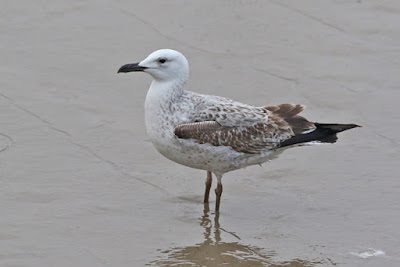 First off was Lyle Park, where the regular 1st-winter Caspian Gull 'Lyle' was hanging out early on; there was also an adult Yellow-legged Gull while a re-visit later on produced another first-winter Caspian Gull, this time a more marginal bird with a relatively stubby bill and in flight a fairly decent sized tail band (not inconceivable that there is some Herring genes in its lineage). 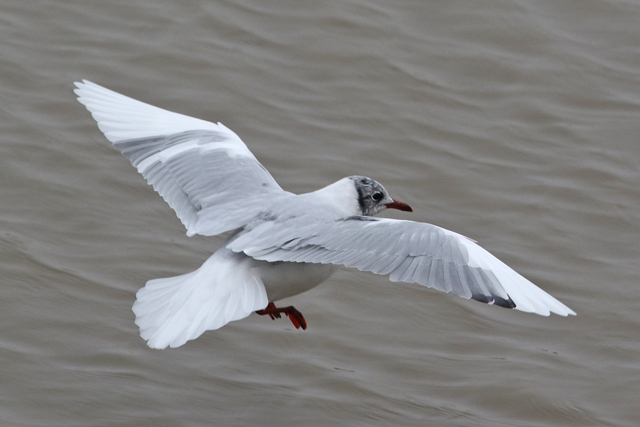 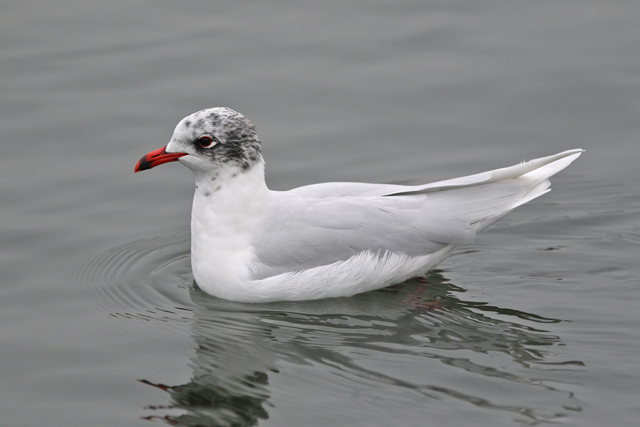 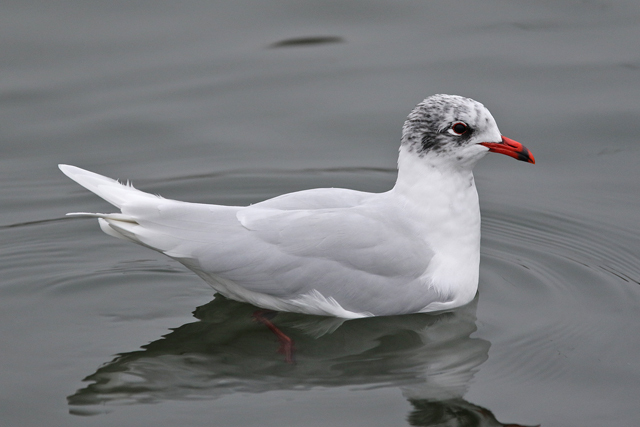 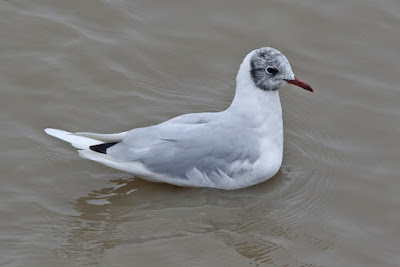 Thames Barrier Park didn't really have many large gulls today, but there was an adult Mediterranean Gull (metal ringed) and an oddball, aberrant Black-headed Gull with largely white primaries - saw this bird at the O2 today too, which shows the way birds commute between the sites. We visited the mud at the end of the O2 in North Greenwich too - typically a fair number of gulls but being more upriver than the other two sites, it seems to not get as many Casps and today was no exception! 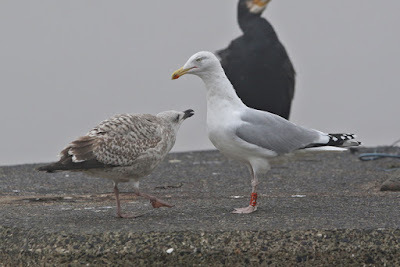 Highlight was seeing the regular NTGG ringed Herring Gull V9FT and a 1st-winter (presumably its offspring?) 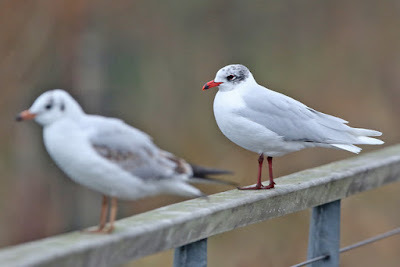 still begging for food!